Can you believe that it’s almost time for the Indianapolis 500 again? It feels like we were just running the 100th. 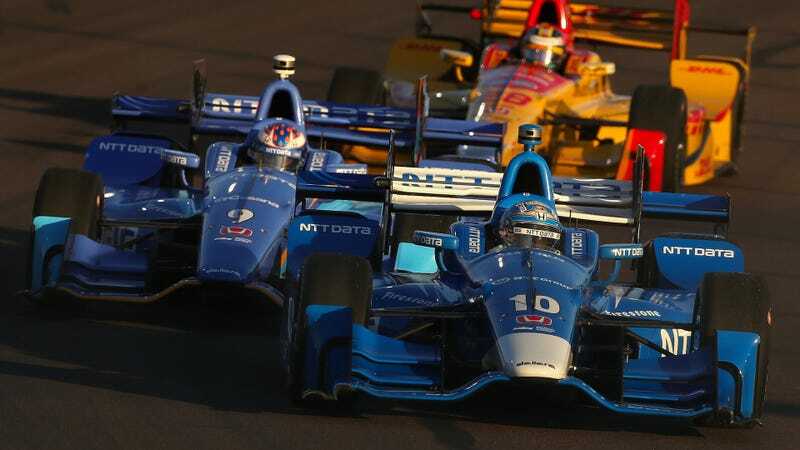 Anyway, the Verizon IndyCar Series is back at Indianapolis Motor Speedway already, running its annual road race prior to the big show on Saturday afternoon. It’s just a weekend full of open-wheel racing, because Formula One and the FIA Formula E Championship are on as well. F1 is off to Spain after Mercedes newbie Valtteri Bottas got his first-career victory in Russia. Formula E, on the other hand, is on the famous streets of Monaco. The Formula E stuff will be shown on delay, but it’s still happening this weekend. NASCAR is in the scenic state of Kansas, with the Monster Energy NASCAR Cup Series running on Saturday night after the Camping World Truck Series had its turn on Friday night. Speaking of NASCAR, did you hear that Dale Earnhardt Jr. is getting a home-renovation show? Things aren’t all bad. He’s going to stay in our lives somehow. If you’re into streaming your race coverage this weekend, there’s plenty of it. You can catch some no-prep drag racing from Texas, while the FIM Superbike World Championship is in Italy, MotoAmerica is in Virginia and the Blancpain GT Series Endurance Cup is at Silverstone. Keep in mind that the YouTube stream links to the Blancpain race below are all different, and you have to go to the separate links to see the coverage from practice, qualifying and the race.